Faculty members Dr. Chuang Wang and Dr. Florence Martin have participated in study abroad programs in the past, and are ardent the value of future educators sharing the experience. They believe studying abroad is one of the most rewarding ways to develop a better understanding of our world and the accompanying course, Educational Policies and Practices in China and India, helps students get the most out of the experience. Future teachers explored a broad range of new cultures, places, and ideas, and were exposed to the many variations between the U.S. and Asian educational systems. Students were able to observe the classroom lessons, and interact with Chinese and Indian school teachers, administrators, and students. Students also attended lectures given by Chinese and Indian professors to learn about current research and practices in China and India. Participants had the opportunity to interact with teachers, administrators and also to co-teach. Student Rex Mangiaracina emphasized the trip was a major learning experience. Members of the trip learned a lot in a class setting but also learned by visiting an array of historical sites. The staff and students visited the Terra Cotta of Warriors and Horses, Shaanxi History Museum, Banpo Museum, Big and Small Wild Goose Pagoda, and the bell tower in Xi’an, China. 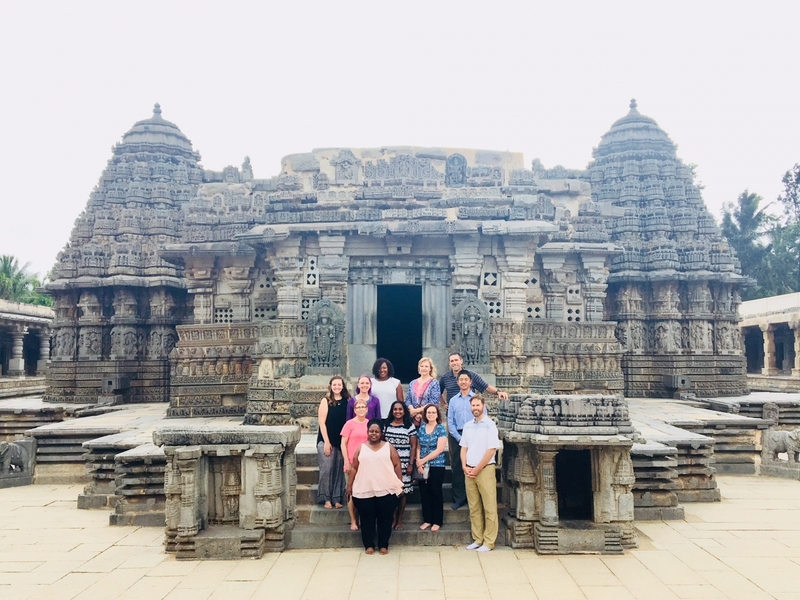 They also visited the Somnathpur Keshava Temple, Mysore Palace,and Taj Mahal in India, and participate in cultural learning experiences. Wang said he really enjoys how his students learn in a class setting and can apply what they learn to make their trip more interesting. Students read a textbook, journal articles, and book chapters before the trip and met before the travel to prepare and develop some knowledge of the education systems. They also had daily meetings during the travel for reflections and questions. Students wrote journals during the trip and a research paper after the trip, and shared an oral presentation about the experence. Martin, trip co-lead, said that it is rewarding to see the students describe the trip as life changing. "In this comparative education course, students returned home understanding the values of other countries and how educators strive to use innovative ways to prepare learners across the world."